I chat to Kate about what it takes to be a world champion, the best foods for training and about her new coaching business. If there is anyone who is bossing life, it’s Kate Strong. 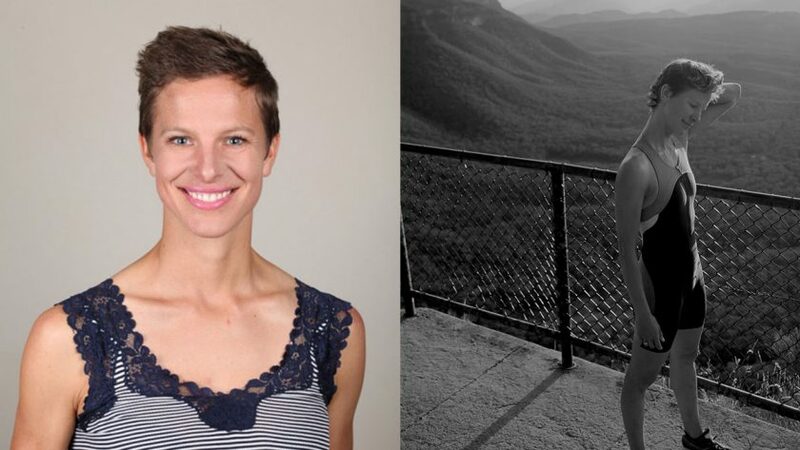 Born in Wales, she moved to Australia and pursued her dream of becoming a successful triathlete. 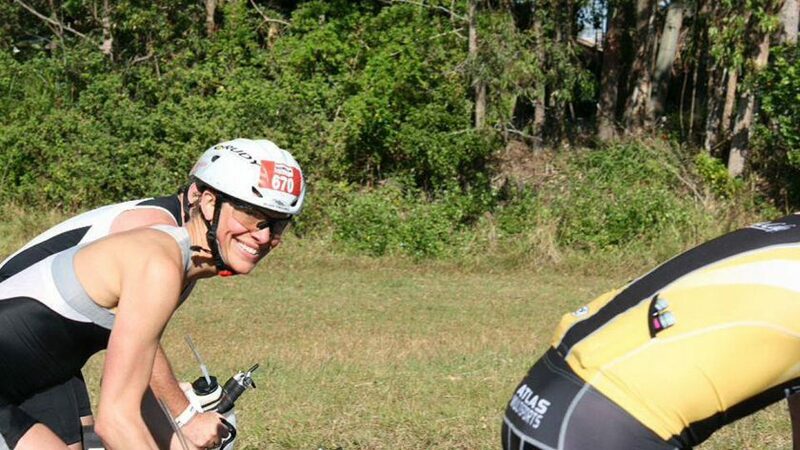 She completed her first half Ironman with no training and spent the following years building up and competing. 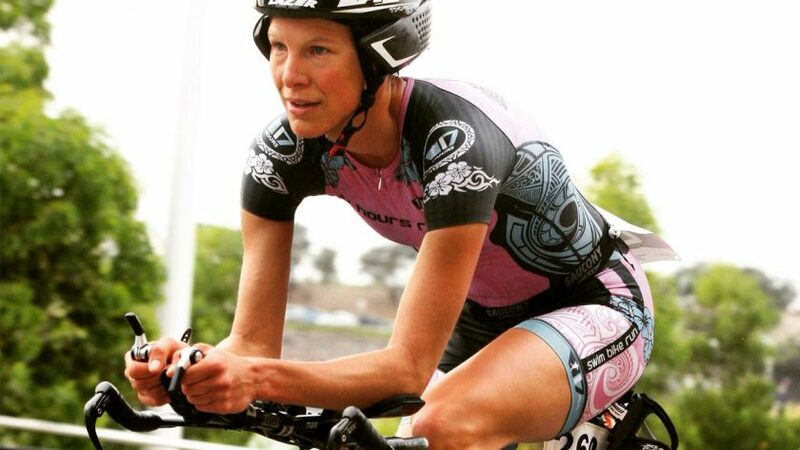 In 2014 she went on to win her age category in the Weihai ITU Long Distance Triathalon World Championships, in her 9th ever competition. Kate also holds a double masters in mechanical engineering and engineering management and now runs a successful coaching business teaching others how to thrive and give back to the community. I caught up with her to find out about her sporting career, her new business and top vegan food tips for budding athletes. 1. How and when did you first get into sports? I’ve always been sporty, but I always stayed at a casual level. I remember when I was 17 years old, I was quite good at javelin and had just become UK junior National Champion. The team I trained with sat me down and said: “Now, you’ve got to start taking this sport seriously and stop the other sports you’re doing (I played lacrosse, tennis and also ran a bit).” My reply was “I’ll never take sport seriously—I do it for fun!” So my javelin never really progressed much further, but I was happy with what I did! Around 2006, I took a long break from sport. I had just moved to Australia and started my own business. 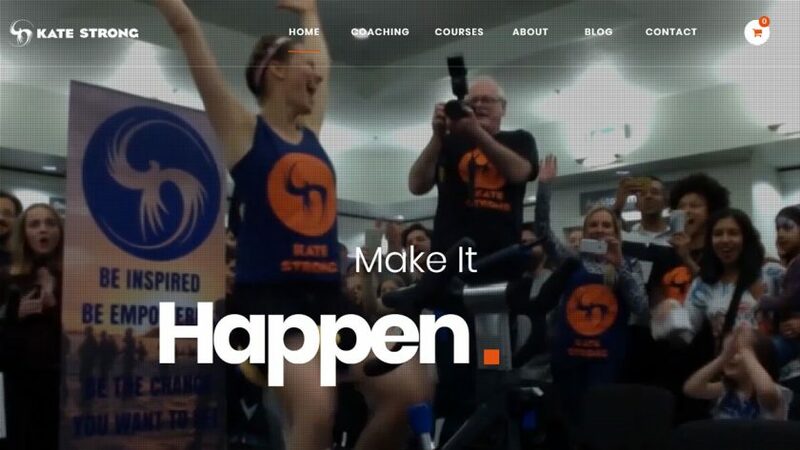 I used being a busy startup entrepreneur as an excuse to stop sport…and I missed it. So in 2012, I started running again. I was in an unhappy relationship and used my late-night runs through the Australian bush as a way to ‘let go’ of what was happening in my life. 2. What inspired you to become a triathlete? In 2003, I was travelling in Guatemala and had just summited the highest volcanic peak in Central America. A girl who’d just done the same was sitting at the top! Her name was Katie and I was in awe of what she was talking about. She said that she was on her way to live in New Zealand and become an Ironman! I had no idea what that was but, if Katie was going to do it then I wanted to do it too!! I returned to the UK and completed a 1/2 Ironman off pretty much no training and then life got in the way. I started moving my goal of being an Ironman and triathlete to ’someday soon’. And, of course, my dream kept being pushed further and further away. In 2012, the relationship I was in ended. We’d been together for nine years and it was quite a dramatic break-up. I used the break-up as a time to take stock of my life and figure out what I wanted to do and who I wanted to be. That’s when I was reminded of my almost-forgotten dream of being an Ironman. So, I dusted off my bike from when I was 18 years old, bought a swimming costume and started training! The inspiration came from me wanting to live a full life—to live a life I could be proud of when I look back at all I’ve done. Also I wanted to show to myself that I was capable, and worthy, of dreaming big and going for it! 3. Which discipline is your favourite and which do you find the hardest? I am in a lucky position that I love all three disciplines. 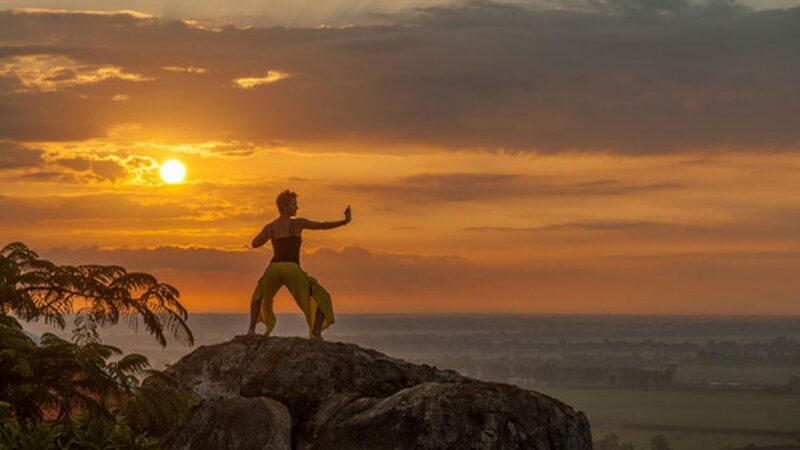 Each one offers a different aspect for me to connect my mind and body. I’ve learnt to love the discipline that I’m ‘avoiding’ the most. Usually, this is what I need to do to release some negative emotion that I’m carrying or to work on an area of my body that isn’t as strong as other areas. 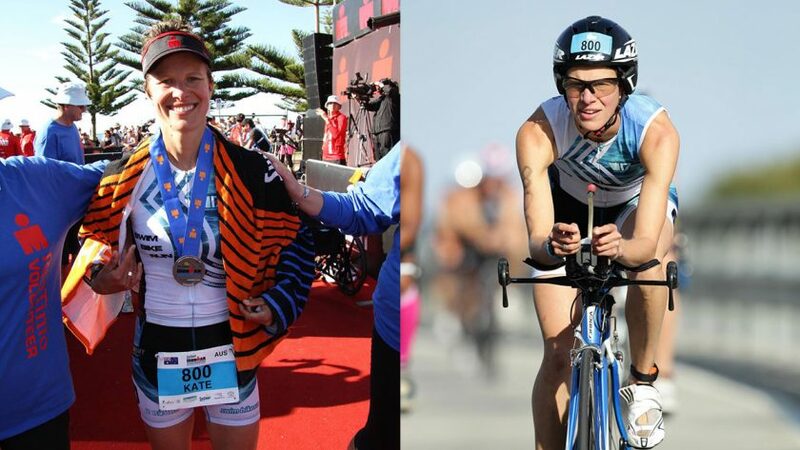 We usually want to avoid our weaknesses and want to stay in our comfort zone and I’ve learnt to embrace my weaknesses in triathlon and give them more time. 4. What’s been your career high? 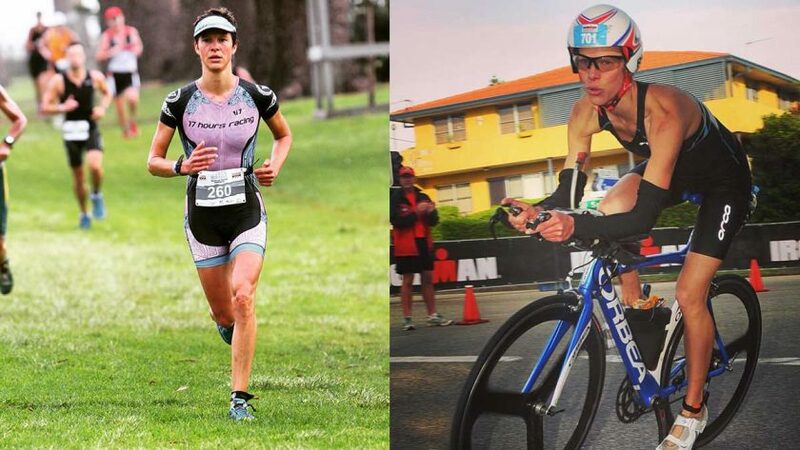 From her first triathlon to winning the World Championship title in 2014. 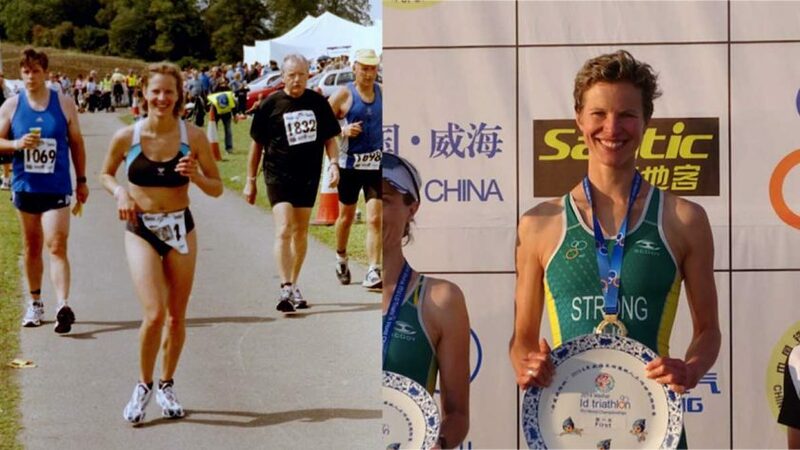 And, of course, when I was selected to compete for Australia the following year and actually win my age-group—becoming World Champion in Long-distance triathlon—was absolutely amazing! The day was magical. I was in China and my parents flew out to support me. While I was running, having the supporters shouting out my name and cheering me on brought tears of joy to my eyes! When I crossed the line, and we realised I was first in my age-group, my mother kept saying “I can’t believe it!” Even after I was awarded the medal, she still kept saying it. They have always been my biggest supporters and that day was a bit like a dream for us all. 5. What about your career low? For me, my low came after I was World Champion. I unconsciously put a lot of pressure on myself to perform and deliver podium finishes. I added significance to my training and I was attached to my results in subsequent competitions. Sport was no longer ‘just for fun.’ I had made it into a ‘I must do this’. I recall finishing my third Ironman, my third in only 10 months. The race was on my birthday, 22 March, and a few kilometres into the run, I felt something in my leg ‘ping’. I chose to ignore it and push through. I finished that race in the dark and hobbling over the finish line. After the race, I bought a takeaway (vegan) pizza, sat on the beach and cried. I was super upset with my result and also angry with myself for making the race seem so important. I realised I was becoming attached to results and adding my own self-worth to my finishing time. I had stopped competing for fun. It was on that day, I chose to stop giving a sh*t about races and start loving life and swimming, cycling and running just for fun, but it did take me a few weeks to get over my sadness and return to my point of joy. 4. When did you switch to a plant-based diet and what was the reason behind it? I don’t recall the exact day when I became WFPB (whole food, plant based), but it was around March 2014. I’ve always had asthma and after running for a few months, it was no longer my physical health holding me back but my lungs. Some friends were saying “You eat too much dairy” and “give up milk and you’ll run faster”. Initially, I thought they were crazy but I kept hearing the same message from other people I respected. So, one day I decided to remove all dairy from my diet for 30 days and see how I felt. Oh, my! What a difference! After a few days, I no longer wheezed, I could run faster and hold my top speed for longer. I was blown away by the results! As an added bonus, my skin cleaned up (I used to have the occasional break-out of spots when I was stressed/tired). Being an engineer, I needed to know the science behind this transformation and I discovered that dairy is directly linked to lung and skin dis-ease. It was on that day, my eyes were opened to the link between the food we eat and sporting performance. Over time, I noted everything I ate and drank, how I responded to the food, how quickly I recovered, my sleep pattern, my performance…and once I found a food that delivered good results, I’d research why and assess if it was something I wanted to introduce into my lifestyle permanently. It was my friends who one day noted what I was eating and said: “you’re a vegan!” I had to Google the word as I didn’t really know what they were talking about, but yes, I was following a vegan and WFPB lifestyle! 5. How do you think it has benefited you as an athlete? Being WFPB helped me enormously. Ignoring that I was able to swim/cycle/run faster, I was able to operate on less sleep, my body needed less time to repair and recover from intense training sessions and so I could train for longer, harder and more frequently. I was also keeping my body in optimal health, so I rarely had a cold or felt ill.
By eating WFPB, I was also more connected to my mind and body. I was able to listen and hear when my body was being pushed— if it was at the point of an injury, and nourish it accordingly. The more processed the food, the more ’noise’ there is that diminishes our body communicating with our mind and the higher chance of overtraining, injury and illness. I could rest when I really needed it, not when I thought I needed it, and also push harder when I thought I couldn’t. In addition, I couldn’t rely on the pre-made and processed food that most other athletes depend upon. I chose to make my own (nowadays, there’s more on the market that you can buy pre-made). So, I knew exactly what I was eating and could make it exactly how I liked it. Eating WFPB meant I could make in bulk and store some food (sometimes frozen, or in the fridge) for a few months so I had more time to focus on my training, resting and my job! 6. Top foods/meals during training? I always started every morning with a big breakfast that I took 30 minutes to eat. This was a time for me to wake up mentally and enjoy the start of the day. I drank warm water with lemon juice, followed by 1/2 an orange. I then had home-made muesli: rolled oats (or puffed quinoa for a change! ), with goji berries, chia seeds, ground flaxseeds and some activated almonds (almonds soaked in water for 8+ hours). I then added some blueberries and either water or apple juice. I finished with a small glass of beetroot juice and kombucha. During training, I only ate while on the bike and focused on date-based or dried apricot-based power balls. I added agave nectar and sesame seeds, or chia seeds to this. I also had a savoury snack that was rice-based and I added lots of herbs and spices, as well as goji berries and some ground nuts. 7. Top foods for recovery? My recovery food usually comprised of a big dense leafy green salad (kale, spinach, rocket…) with lots of raw vegetables (carrot, beetroot, capsicum (pepper), cucumber, pear) and seeds (poppy, pepitas aka pumpkin seeds) with some warm quinoa, couscous, or bulgur mixed through it. I prepared this before my training session/race and ate it within 30 minutes of stopping. 8. The sports market is currently obsessed with increasing our intake of protein, but some suggest a low protein diet can actually aid in recovery. What’s your view on the role of protein in sports? People are constantly seeking the magic formula and are missing the big picture: Mother Nature! Nothing is ever produced in isolation, so we need to look at complete ‘whole’ foods and meals. There’s not one food source that is 100% one macronutrient, so we shouldn’t focus on just one source either. We do need protein, the building-block of life, and you’re right that a lot of people are obsessed with it! In reality, we only need 1.2g protein per 100g weight (I’m 65kg, so only need 100g protein for healthy living). For endurance athletes, it is recommended to eat an extra 0.2g/kg – so 1.4g/kg in total. And, for weight-lifters etc, they only need a maximum of 1.7g/kg in protein. And, we easily can reach these levels eating a diverse and plant-based diet. The importance is when we eat our protein and also the source of the protein. Eating protein-dense foods just after training is going to have a bigger impact than overloading our system with excessive protein. Also, some protein sources are absorbed into our system much quicker, meaning our body receives the nutrients quickly and can get to work repairing our muscles, rather than wasting valuable time breaking down and digesting the food. Vegetables take significantly less time and less energy to be absorbed than animal-based protein. 8. You currently run life and business coaching courses. Why and when did you set them up? I’ve always been interested in personal development and the role our mind plays in our performance in all areas of life. After 10 years of being a successful entrepreneur and creating a few businesses myself, I wanted to create a business that promoted a winning formula for all areas of life. I started my business in 2017 as I wanted to enable more people to create profitable businesses that are also a force for good! I would love people to be masters of their own life—to love their work, to work when they wanted and also to maintain a balanced life. On a personal level, I also want to see more companies that are offering organic, fair trade, ethical and sustainable options in every sector of business. I have a vision that entrepreneurs no longer need to choose between ‘doing good’ and ‘being profitable’. There’s already a growing trend towards this and I want to accelerate the entrepreneur’s journey to being successful and also leaving a positive legacy in the world. 9. Who are these courses aimed at? These courses are aimed at people who want to create a business or grow their existing business. They’re usually people who have a message they want to share with others and positively impact their own lives, their community, the environment and the planet. They’re people who want to elevate their life and also be valued for it. I work with people who want to sell products as well as services and my courses are for people who want to earn more, be more and also contribute more. 10. How do you think your background and experience can help? Everything I recommend, I also do myself. I’ve been an entrepreneur for over a decade and briefly worked in a UK Entrepreneur Hub where I was extensively trained in delivering mindset training for entrepreneurs. I have a couple of Master degrees in engineering and this background has significantly helped me create simple processes to follow for business creation and growth. I also apply what I’ve learnt from my sport into creating a business. At the end of the day, performance in sport and in business is born in our minds first. Find out about Kate’s courses here. I’ve walked the same path as my clients and know what they’re going through and my aim is to reduce the bumps on the road, accelerate them achieving their goals and also to ensure that they maintain balance in other areas of life while they are growing their business. 11. What have you got planned for the rest of 2018? This year, I’m focusing on growing my business and also deepening my connection with my family. I’m in rehab for a hip injury and so sport is confined to recovering and strengthening my body. I’ve moved in with my partner and am learning his mother language, Turkish, to better connect with his family. We’ve some trips planned with my family and his and I’m enjoying seeing them more often. As for my business, I’ve some big goals! I’m translating my 1-1 coaching to reach more people. This will mean I can offer the same outcomes at a reduced price. I’m also launching my courses in Australia at the end of the year and I’ll be visiting Sydney to launch it in person! I have a goal of working with 500 entrepreneurs in 2018 to help launch 500 ‘profit on purpose’ businesses! 12. What advice would you give to someone looking to escape the 9-5 and pursue their dream? Call me for a free clarity call! For anyone wanting to create their dream life, the important first step is to establish what ‘success’ looks like for you. Define what your ideal life looks like. Include your business goals as well as personal goals too. What would an ideal day look like? Where would you be living? How many hours would you be working? Are you working alone behind a computer, or with a group in an office? What about your relationship? Family? The more vivid we can describe our ‘ideal’ life, the more likely we will achieve it. Also, always include other areas of our life. Being successful in business, yet returning to an empty home after a 12-hour workday might not leave us feeling fulfilled. 13. One random question to end. If someone made a film about you, what would be the soundtrack? Good question!! It would have to be Titanium (featuring Sia) by David Guetta. This soundtrack carried me through so much in my life and picked me up when I was (literally) in the gutter. Thanks again to Kate for the interview. Find out more about her inspirational journey and new business by following her online, on Facebook and on Instagram.